You might think that mindset is the domain of life coaches and woo-woo lovers (like me). But it’s also an important part of your marketing strategy too. Just not in the way you might think. Good copywriting means stepping into your dream client’s shoes, picturing what they’re thinking and feeling, then writing words that speak directly to what’s happening in their hearts & minds. Its your key to being persuasive in sales. And step one of that process is understanding the mindset of your dream clients. This is Part 1 of a 2 part series. In this post, we’re going to talk about their mindset around your product, service and offering. This is called market awareness. In Part 2, I reveal everything you need to know about their mindset around your messaging. The fancy term for this is market sophistication. The most undervalued secret to online sales. And it’s just one question. Market awareness = Do people know this kind of service exists and do they want it? This idea of ‘awareness’ and ‘sophistication’ of your market was laid down by Gene Schwartz, and is one of the best ways I’ve seen to nail your copywriting strategy – because we all know that copywriting isn’t just about putting pretty words on your website, right? Copywriting is about finding the right words that will get you results & help you achieve your business goals. 1. Do people know what this service is, what it does, and do they know that they want it? These people don’t need to know anything about your product. They have all the information that they need to know. This is why you see signs that say “Hotdogs, $1.99!”. There is no copy needed to explain. You want a hotdog, or you don’t. You know what it does and what it is without having to be sold on it. These folks are usually the first to buy, the first to share, and the ones that devour everything you write. You don’t need to do too much to hook these peeps because they’re already hooked. They’re your raving fans. Make sure they know you created this product or service for people just like them. Show your appreciation. But you’ve already done most of the hard labour when you converted them to raving fans in the first place. 2. Do people know of the service, but don’t know what it does, or whether or not they want it? These people have heard about your offer, but it hasn’t grabbed their attention enough for them to buy it yet – they need more persuading. These people are like your window shoppers. They’re interested, but not quite enough to commit to coming through the doors to finding out more. You’ve got to pique their interest enough so that they’ll take the next step to learning more about your offer. Your web copy & messaging will be focusing on explaining what your product or service includes, what it allows them to do, how it will make them feel, and reinforcing the outcome it provides. Give them social proof, like testimonials, case studies & past client results. If you don’t have those things, create a free challenge that solves one of their major needs and will prove that your work gets results. Then, offer your product or service for sale at the end of the challenge. 3. Do these people have a want, but simply don’t know this service exists or know what it does yet? These people are confident that there’s a solution to their problem out there, they are just trying to find the right one. They may know who you are, but they don’t trust you yet because they’re too new to your world. These people may be newest to your community. This is a very typical state of awareness for online courses/coaching. For example, someone may want to be surrounded by like-minded entrepreneurial women…but don’t know Marie Forleo’s B School exists. They may land on Marie’s website and know that they want what she’s offering, but they don’t know enough about it to buy right this minute. You need to persuade them that your offer has been created for people just like them. It’s designed to address their specific and unique need. You need to know their needs inside and out. They don’t necessarily trust you yet – so don’t go for the hard sell. Gently move them towards a purchase with multiple blog posts or emails. 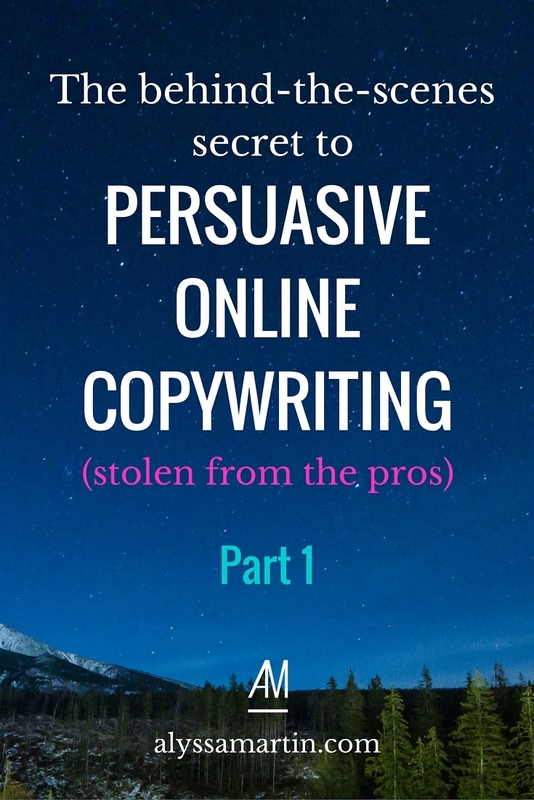 Each piece of content you write should be designed to address one more objection and make them feel more confident in your offer so they’re just one tiny step closer to buying from you. 4. Do these people have a need, but they don’t see how you can help, yet? These people know they have a definite need, they just don’t know who you are or what you can do to help them yet. This is common for physical products, like acne solution. They know they need to fix their acne, but aren’t convinced that a particular product or service will truly help them yet. You’ve got to build their trust, show that you can help solve their problem and educate them about the solutions you’ve got for them. Focus on solving their problems. Be helpful. Create content that reveals new tips, ideas or solutions that they didn’t know before finding you, then ask them to subscribe. Slowly prove that you know your stuff with a brilliant autoresponder. 5. Do these people have no idea if they want the product or service (or even if they have a general want that needs filling) and no idea that the service exists? They may or may not have a problem that your product or service can fix. They don’t know. And if they don’t know, it’s extremely hard for you to figure it out for them. This is one of the most difficult states of awareness to tackle, and I can almost guarantee that you’re not in this category (because you’re too smart for that). P.S. You can read Part 2 over here.